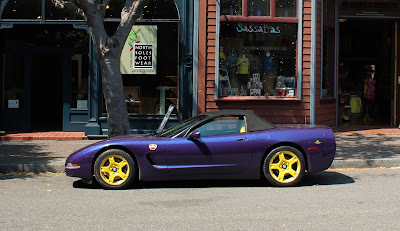 The Life Mechanical: Found in the Wild: Little Corvette, Who Dressed You This Morning? Found in the Wild: Little Corvette, Who Dressed You This Morning? You gotta wonder sometimes about the executive discussions that must have occurred within major automakers. Because at some point the question would arise "Hey guys, what color should we paint our new Corvette pace car for the Indianapolis 500?" 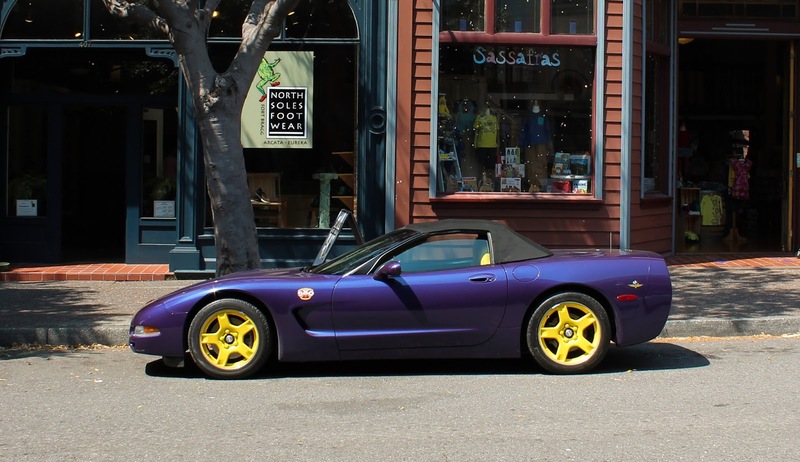 And someone would have had to reply "How about metallic purple with yellow wheels and a black and yellow interior?" This combination inexplicably became the official scheme for the 1998 Corvette Indy pace car. 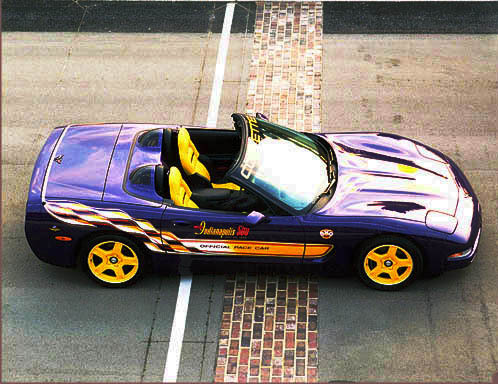 1998 marked the fourth time a Corvette had paced the great race at the brickyard and exactly 1,158 copies were made for made for people who likely wore Hawaiian t-shirts and fawned over any "plaque of authenticity." 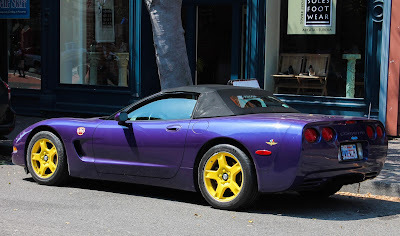 The C5 Corvette that the pace car was based off of was a perfectly good car. The C5 brought the Corvette into the modern age and needed no modifications for pace car duty other than the garish paint and a light bar for the roof. Our found car doesn't have the side stickers applied like the one in the above photo so it's actually less eye assaulting than most. 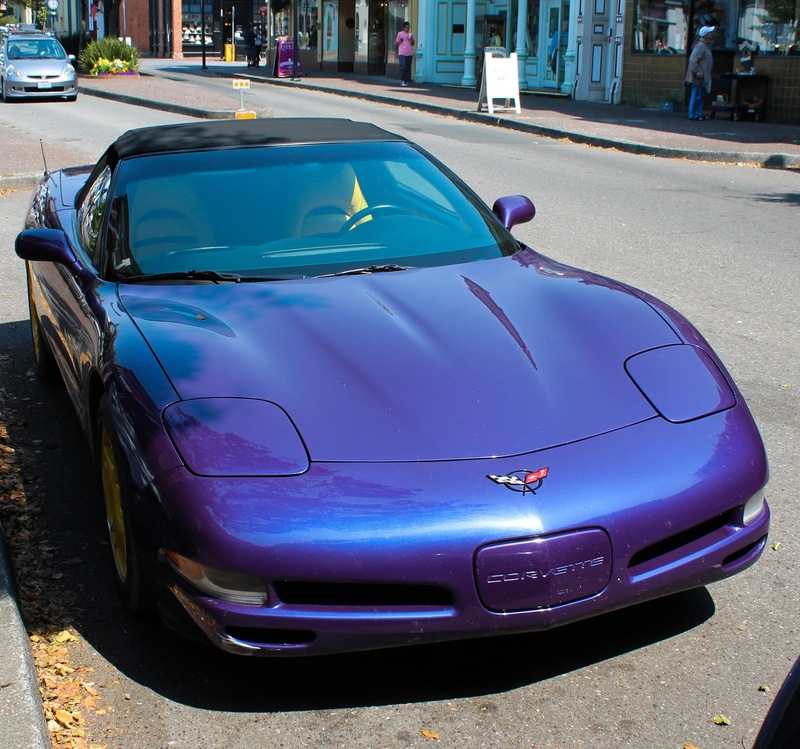 Most of these cars were delivered with the door stickers in the passenger seat so that owners could choose whether or not to festoon their Corvettes with them. To be fair, the paint scheme doesn't actually look so bad and I suppose we're really just having a bit of fun with it here because it's so different. 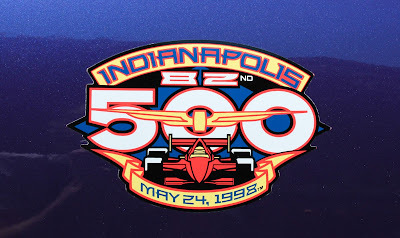 I mean, 1998 was the 88th running of the Indy 500 and there are only so many ways to paint a car!